Where There is Selling Concrete Mixing Plant Equipment? Where there is selling concrete mixing plant equipment, and how about the price? To solve this problem, we must first understand what are the concrete mixing equipment, because different concrete mixing equipment price is different. 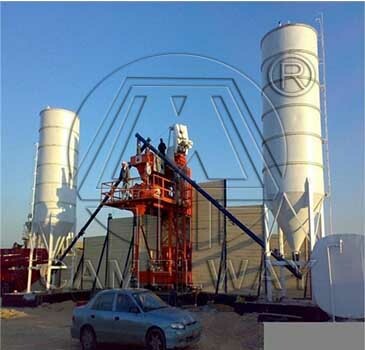 Concrete mixing plant is divided into engineering station, commercial concrete mixing station, mobile station and so on. The productivity of the engineering station of 25-120 cube /h, large engineering can use 180 cube /h. The productivity of the commercial concrete mixing station for 120-300 cube/h. Prices are fixed according to the requirements, ranging from hundreds of thousands to millions. Zhengzhou CamelWay Machinery manufacture is one of the large-scale enterprise specializing in construction machinery. The company was found in 1983. The company produces tower cranes, construction elevators, concrete mixing stations, JS concrete mixers, concrete batching machines, stabilized soil mixing stations, wheel loaders, concrete transport tanks, JZC concrete mixers and other construction machinery. If you want to buy the equipment, you can contact us. This entry was posted in Solution and tagged concrete mixing stations by camelway. Bookmark the permalink.